The Sail Boston Express provides a direct, luxury bus connection to Sail Boston from several area Park & Rides throughout New England June 17 – 21, 2017. Sail Boston® encourages guests attending the event not to drive into the city. There will be limited parking, restricted travel and road closures throughout the week. No need to stress over traffic or battle for a parking space. Sail Boston Express is the answer. The Express is a reservation-based system, and spots will fill up quickly. Book today! *Drops off at the corner of Seaport Blvd. and Boston Wharf Road. 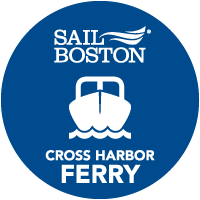 The Sail Boston Cross Harbor Ferry is an easy – and breezy – way to get between Tall Ship sites across the Harbor. This is a direct service between Pier 4 – South Boston and Pier 1 – Charlestown Navy Yard. Once you have viewed the vessels in the Charlestown Navy Yard hop aboard this Ferry and in under a half an hour you’ll be staring at a whole new set of sails in the Seaport – or vice versa. Visit bostonharborcruises.com for more information or to book your ticket today! MBTA shuttles will run direct service on June 17 – 21 from Sullivan Square station to Charlestown Navy Yard, with additional shuttles on June 17 from JFK/UMass station to Castle Island. 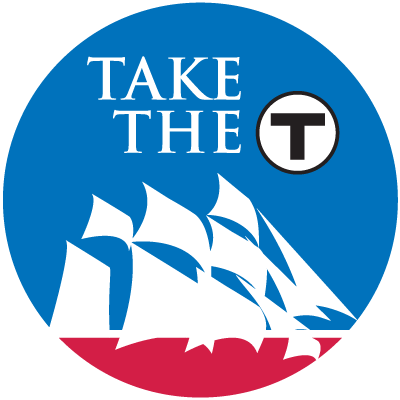 All passes include travel on all MBTA shuttles and will be printed on a plastic card with a commemorative Sail Boston graphic. Limited quantities are available. Click here for walking maps and visit mbtasailboston.com for more information. 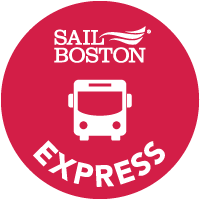 Please note: MBTA Sail Boston Passes are not valid for use on the Sail Boston Express or Sail Boston Circulator. Driving into the city for Sail Boston? Guarantee your parking space by pre-purchasing online for this extraordinary event. SP+ provides parking at numerous locations throughout the city of Boston, and within close proximity to the tall ship fleet and Sail Boston events. Enjoy this first class parking experience June 17 – 22. Visit bostonparking.spplus.com to buy parking online and secure your space. To reserve a parking spot for this event, visit the Sail Boston SpotHero Parking Page and book a spot with rates up to 50% off drive-up. You can also use SpotHero to park all over Boston – learn more here. New to SpotHero? Download the SpotHero app and enter promo code SAILBOSTON for an extra $5 off your first park! VPNE Parking Solutions has numerous lots in the vicinity of the Sail Boston festivities. Lots are on a first-come, first-served basis and can be found at 101 Seaport Boulevard, 390 & 391 Congress Street, Channel Center Garage (115 West First Street), Necco Street Garage, Stillings Street Garage, Farnsworth Street Garage, 125 High Street, 225 Franklin Street and Atlantic Wharf Garage (280 Congress Street). Sail Boston is excited to welcome school groups from around New England June 19 – 21. With limited to no bus drop off zones in the Seaport District, we ask that all schools looking to bring a group contact Sail Boston to receive a pick up and drop off location that is cleared with public safety officials. We want this to be a fun and safe event for everyone, so please email info@sailboston.com with the subject line “School Group” if you intend to make the trip. Sail Boston is excited to welcome tour groups from around New England June 17 – 21. Please pay close attention to the Street Impact Maps for Parade of Sail Day. There will be no access for unauthorized school buses or motorcoaches to drop off at Castle Island, the Seaport District, Atlantic Avenue northbound and Constitution Road at the USS Constitution. Drop off will be limited to designated bus loading zones along John Fitzgerald Kennedy Surface Road between Hanover and Clinton Street. This is not bus parking, so be sure to communicate pick up and drop off times with your drivers. Please email info@sailboston.com with the subject line “Tour Group” to let us know you are coming.